Imagine that your app is a bucket. And now imagine that ‘water’ is your marketing-money spent on acquiring new users. If people are downloading your app and not sticking then your bucket has holes in it. Big ones. And you’re losing money by the minute. Because the more water you tip into your bucket, the more water pours out the bottom. Can you see how this is affecting your apps profitability? A key metric we use to track app performance is; Life Time Value (LTV). LTV: The net profit value of the average user over their life time of using your app. In other words, how much the average user is worth to your business. If your users stay engaged with your app for longer and your marketing spend stays the same then your app is more profitable. So, how do we fix a leaky bucket? I’m going to show you 5 easy ways to plug the holes in your bucket boost user engagement and drastically increase the life time value of your app users. 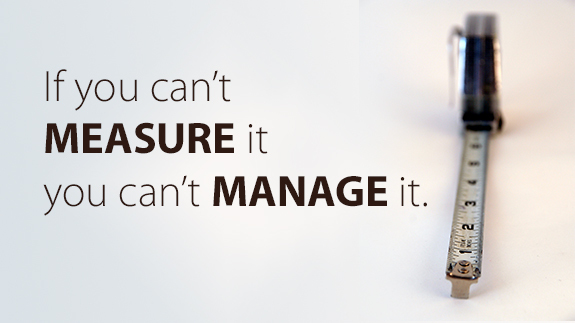 The first step is simple: Start measuring your app performance. If you don’t know how your app is performing then how can you do anything about it? Tracking dollars at the bottom of your funnel isn’t enough. Especially when you’re not making a hell of a lot. You need to have an intimate understanding of your app performance. Identify key numbers you need to track in order to understand the health of your app. I suggest looking at Google Analytics for in depth/custom tracking. Alternatively, there are a whole heap of plug-and-play analytic programs that support mobile apps. Of course you need to track LTV (Life Time Value). I would also encourage you to track LTV per traffic source (e.g. Facebook Ads, Facebook Organic, Search, etc.) to find the highest performing sources. Rather than going into depth about how to calculate LTV I found this great infographic on the KISSmetrics blog. Check out their infographic for How To Calculate Life Time Value. Monetisation – conversion rate, # of purchases per paying user, average $ spend per purchase, when are players making their first purchase. Retention – 7/30/90 day retention, where are users dropping off, daily/monthly active users, average session length, average # of sessions per user. First off, identify your perfect user. What is a perfect user? In essence; it’s someone who takes the actions within your app that generate revenue. Make in app purchases – if you have an in app purchase model. Use the app frequently and for long periods of time – important if you generate revenue through ads. Pay for the app – this is an easy one if your monetisation model is that simple. Invite friends from Facebook, etc. Going back to ‘track everything’. You need to track things like where these people come from. Some traffic sources are ‘richer’ than others. If you understand your perfect users behaviour you’ll be able to find them in the app and track them back to where they came from. Long story short, find the right users and spend more time/money getting these users on board. Your job is to make the journey for your users, between finding your app and achieving their goal, as seamless as possible. To do that you need to find the roadblocks along the way and remove them. You’ll identify a number of these by tracking the user journey and seeing where people are getting stuck in your app. Spend some time analysing key drop off points and dig down to find out what’s causing this issue. Is there a bug? Is it hard to use? Etc. Can you remove the obstacles or highlight key actions that you want the users to take? Remember, we want them to get the most out of your app. Sometimes a button or call to action that’s been designed is not as obvious to the user as it needs to be. Once your changes have been made, re-analyse to verify if they made any difference to the users behaviour. A good indicator is that users won’t be dropping off as much. Make sure not to test too many changes. If there are too many variables you won’t know exactly what it was that caused the problem. Remember, fixing the problem is just as important as learning from the problem. Optimising the app funnel (or the user journey as I call it) is another great way to increase the usability of the app. Increased usability is directly related to LTV. If your app is hard for people to use then they won’t use it. Split testing is about testing different variables (buttons, colours, calls to action) on key screens within your app to find out which performs the best. For example, a blue button might render a higher click-through-rate than say an orange button. By using split testing software you can literally test one one colour against another by splitting your audience into two segments. One segment will see the blue coloured button and the other segment will see the orange coloured button. Through a split test you can get a quantitative assessment of which colour performs best. Have you thought about how you’ll pull people back into the app? You can re-engage users through an arsenal of external contact points like SMS, Email or the more popular, Push Notifications. Push notifications are great for updating people on any updates inside the app, e.g. a friend has sent you a message. The best thing about them is they’re free. Emails are another great means of contacting users outside of the app. They’re not free but they’re so cheap they may as well be free. Emails work well for the B2B market because business people tend to check their emails often – I can vouch for this! – whereas most people will only check their personal email address once or twice per week. – I’ll be lucky if I check it once per month! 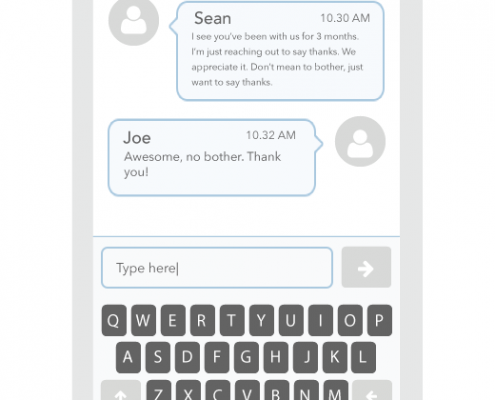 SMS’s are another fantastic way of connecting with your user base outside the app. Or maybe just to thank them for using your app for more than a month. Just to expand on point # 5 and combining it with point #4; you can also test different push notifications to find the highest performing messages. You never know what might work so try some of the push notification tools to see which of them might work for you. This also works for SMS and email automation systems. If you’re unfamiliar with Gamification; it’s about turning a non-game context into an engaging experience by implementing game-like mechanics. You can use badges or achievements to reward people for taking the desired actions. Or play on people’s competitive nature by implementing score keeping. Or leaderboards to let users match their score up to their friends. Let users to accumulate points within the app. I can’t stress enough, the app needs to be good in order for any of this to work. App development is a finicky business. To keep people engaged we need to keep innovating and building on our products. Removing features that people aren’t using. There’s more to the experience than features of course. The idea of building apps is to solve your users problems. Find out how you can solve more of their problems without confusing them or cluttering the experience. 12 months ago most people thought this was damn near impossible, and almost pointless. But over time user feedback tools have become more and more popular in the mobile app development community. Check out the 10 Most Popular User Feedback Tools for Mobile Apps to learn about how you can collect real feedback from real people using your app. The last tip I’ve got for you is probably one of the best ones: Give away free gifts and engage with people in the real world. Nothing says ‘You’re valuable to us’ like a physical engagement from your favourite virtual company. I remember when I started receiving engagement letters from Google to join their programs. I was one in a million who received these letters…but I still felt special. Another great example of this is the Starbucks app which powers their loyalty program. Once you’ve downloaded the app in USA, you have to collect 30 stars by buying 30 cups of coffees to achieve “Gold” status! 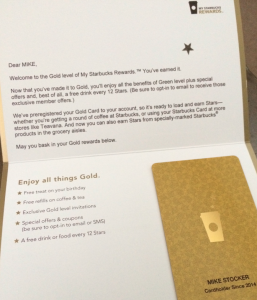 You get sent a real card in the mail and this guarantees you 1 free coffee for every 12 stars. If I lived in USA I would be buying coffees from Starbucks everyday – Who doesn’t love a Free coffee? Scratch your head; what are some other ideas for engaging and retaining users to increase LTV?